Chips, cracks, pitting or other damage to the teeth are not only unattractive, but can also cause discomfort or even lead to further damage if left untreated. Dental crowns improve the look of these teeth and help you avoid the additional pain and expense of an eventual extraction. At one time, dental crowns were almost exclusively made of metal, usually gold. While gold can protect damaged teeth, it is very visible in the mouth, especially if used to treat front teeth. Today, other options are available that can give you a natural-looking smile even after dental crowns have been placed on front teeth. Porcelain crowns are made of a strong, long-lasting material that can be exactly color-matched to your teeth. In addition, porcelain crowns are not as temperature sensitive as metal crowns, and will not cause discomfort when you eat particularly cold or hot foods. Porcelain crowns do not react to metal, such as metal utensils, which can cause discomfort if you have metal crowns. Although some patients still opt for metal crowns, especially for back teeth, Dr. Michael Firouzian offers the greatest number of available options due to his extensive training and experience. We recommend ceramic crowns for most restorations. We generally recommend porcelain fused to gold or gold crowns only for the back teeth in people who clench their teeth. Dental crowns are usually placed on your teeth in two visits. On the first visit, your tooth or teeth are prepared for the crown. The comfort of this procedure is improved with Anutra buffered anesthesia. Any decay will be removed from the tooth, and the remaining tooth material will be shaped into a “peg,” on which the dental crown will be affixed. Dr. Firouzian makes a mold of the reshaped tooth and places a temporary crown. The mold is sent to an off-site lab, where the permanent crown is manufactured. The permanent dental crown usually returns to Dr. Firouzian’s office within 2 or 3 days. At this time, you will return to have the new crown affixed. The temporary crown is removed and the permanent dental crown is set into place. Dr. Firouzian will make any necessary adjustments to the surface of the crown to ensure your bite is maintained and to preserve the alignment and comfort of your mouth. Dr. Firouzian also offers CEREC for dental crowns in one visit. Generally, the process takes about 2 hours from the time images of your bite and teeth are taken to the time the dental implant is installed. Using state-of-the-art dental technology, a digital image is taken of the tooth with the CEREC camera, creating a 3-D model. The computer-aided design technology then allows Dr. Firouzian to design the restoration while you watch on the computer monitor by your chair. Your precision-designed restoration is then bonded to your tooth using an ultra-strong dental adhesive. The CEREC dental crown will match your other teeth in color and will look completely natural. 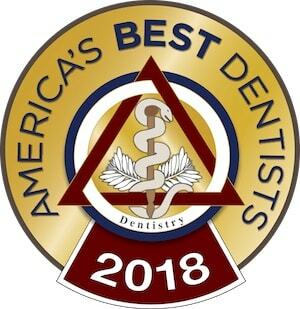 Dr. Firouzian’s accomplished dental team will be happy to answer any questions you might have about CEREC, porcelain or metal crowns, how they are placed, and the advantages and disadvantages of each. Please contact Firouzian Dentistry in Columbus, Ohio to make an appointment or schedule a consultation.